We are a feminist chorus with roots in the LGBTQA community. We give voice to the importance of equality for women, honoring our unique strengths to bring about a more inclusive and peaceful world. We stand with and for those whose voices go unheard, unrecognized or unacknowledged. We continuously strive for musical excellence, through which we transform ourselves and our community. 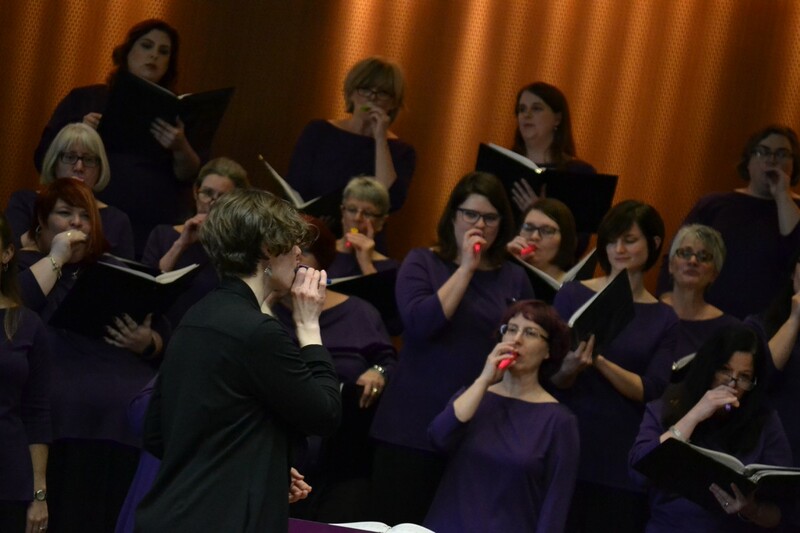 We choose music that gives voice to the experiences of women and honors women’s lives. We are young and old, and we represent a variety faiths, backgrounds and sexual identities. We respect each other, and we accept all. 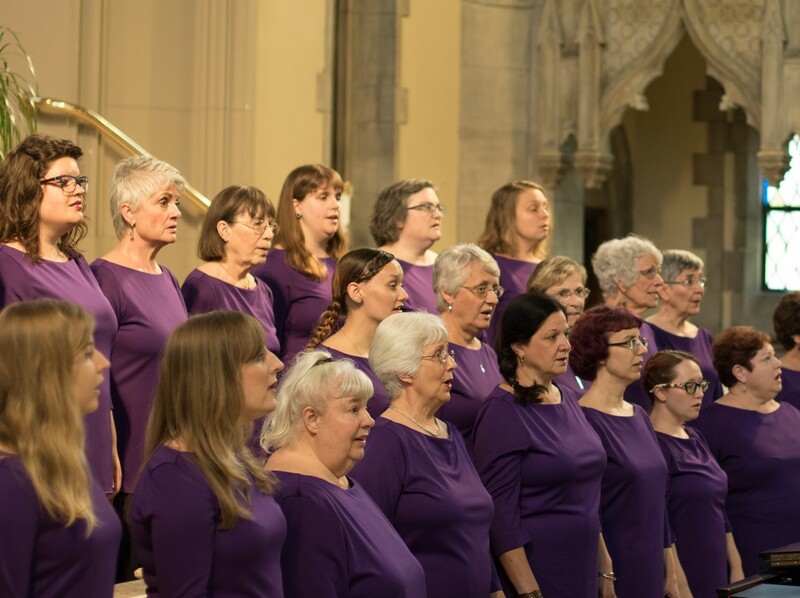 We sing everything: easy to difficult; ancient and modern chants; medieval music; religious music from many traditions; jazz; feminist/women’s movement music; spirituals; world music; and more. Our repertoire has included Rachmaninoff, Eccard, Brahms, Holst, and Gershwin plus women composers including Hildegard of Bingen, Francesca Caccini, Gwyneth Walker, Libby Larsen, Ysaye Barnwell and others. 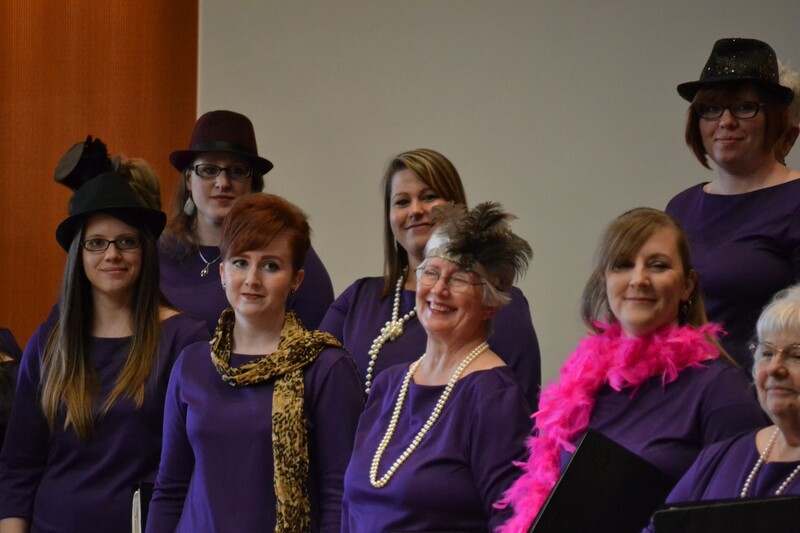 We have even performed original works written by our own members. 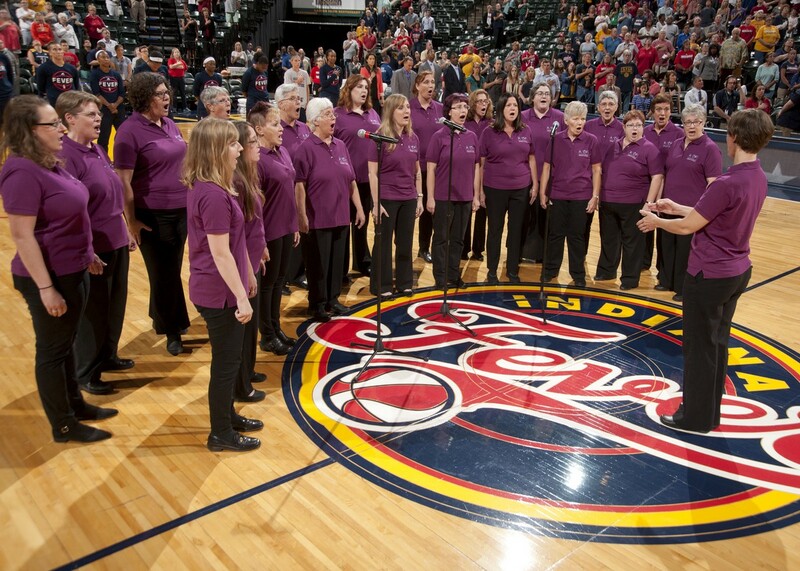 IWC has participated in events sponsored by GALA (the Gay and Lesbian Association of choruses), the Sister Singers Network and the National Women’s Music Festival. and the power of women and song to transform communities. We continuously strive for musical excellence, as this is the primary vehicle through which we are able to catalyze transformation in ourselves and our community. We stand with and for those whose voices go unheard, unrecognized or unacknowledged. Our contribution to social justice is creating beauty as a catalyst for transformation. We respect each other and our musical process, holding in high regard the authenticity of one another and our audiences. We provide and maintain a safe space of acceptance for all. Listening is our foundation. By better listening to ourselves, each other, our audiences and our community we are able to be more intentional in creating experiences that change lives and support social justice.